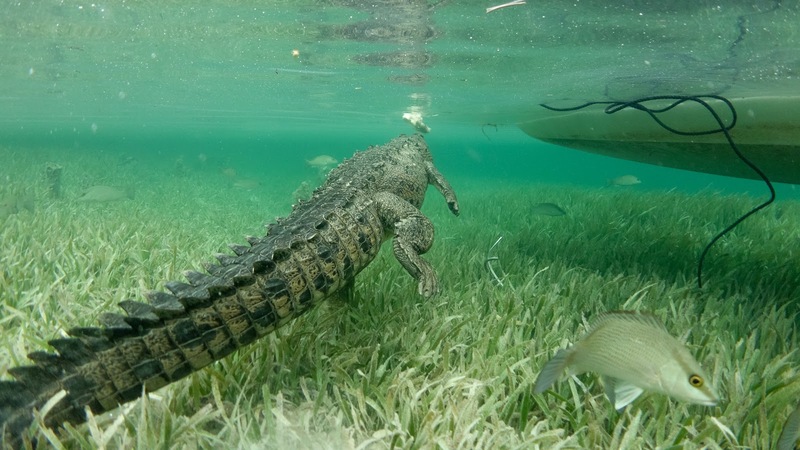 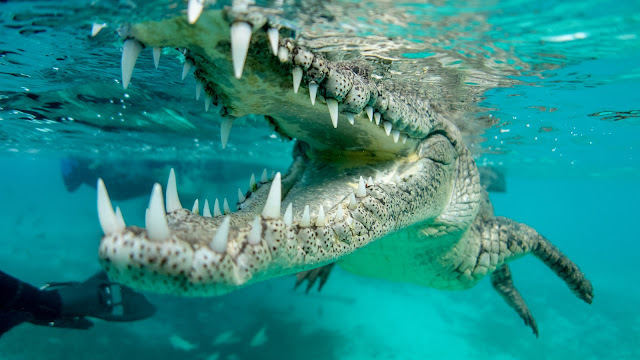 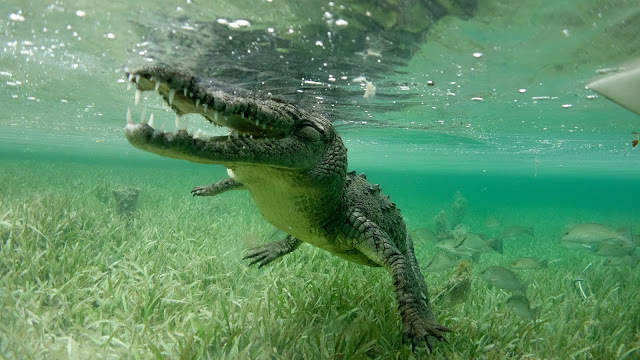 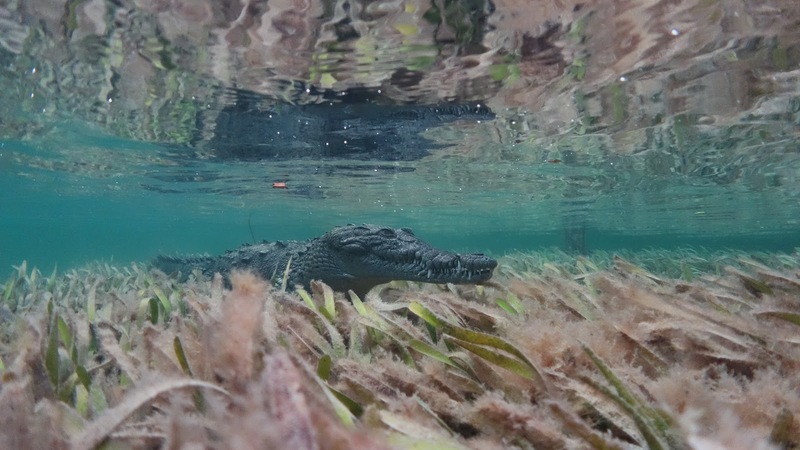 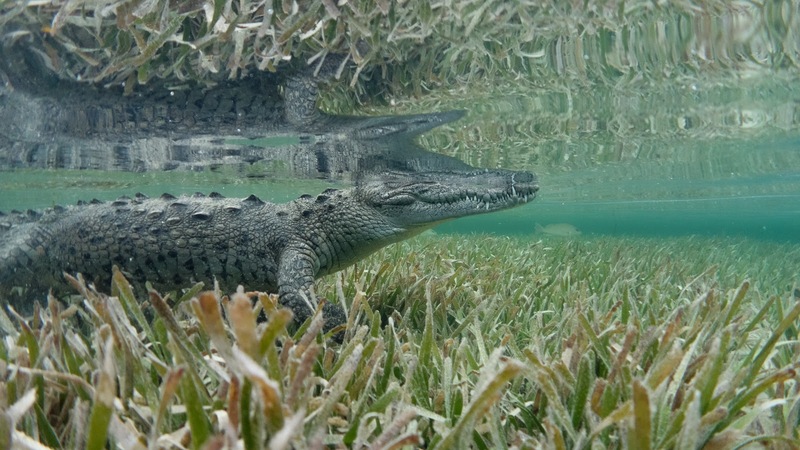 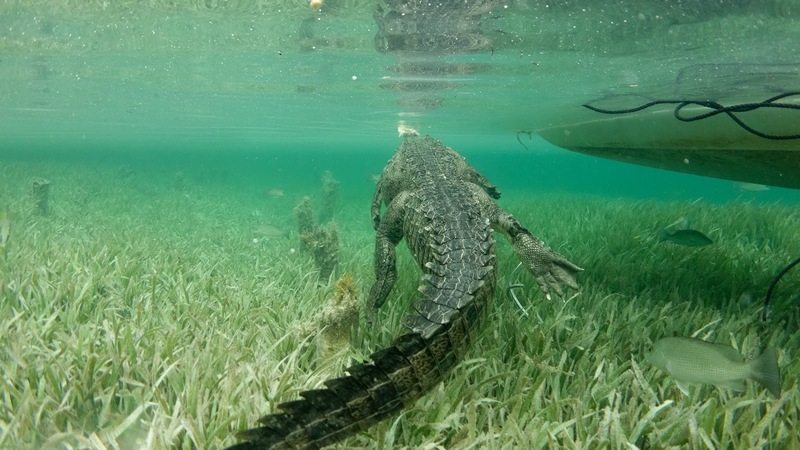 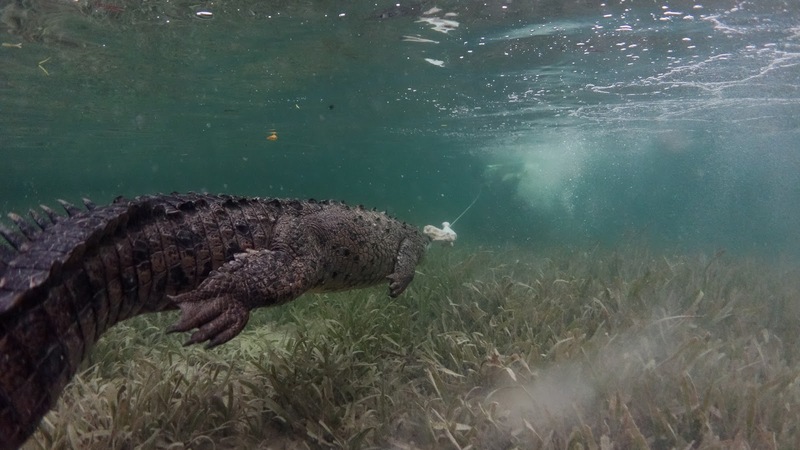 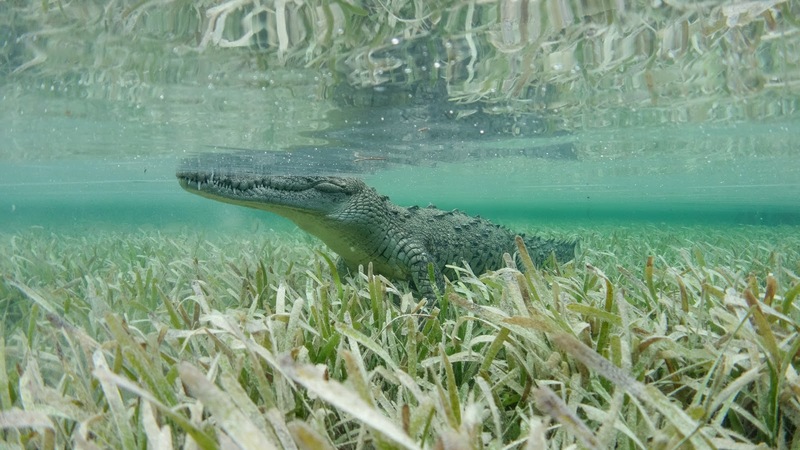 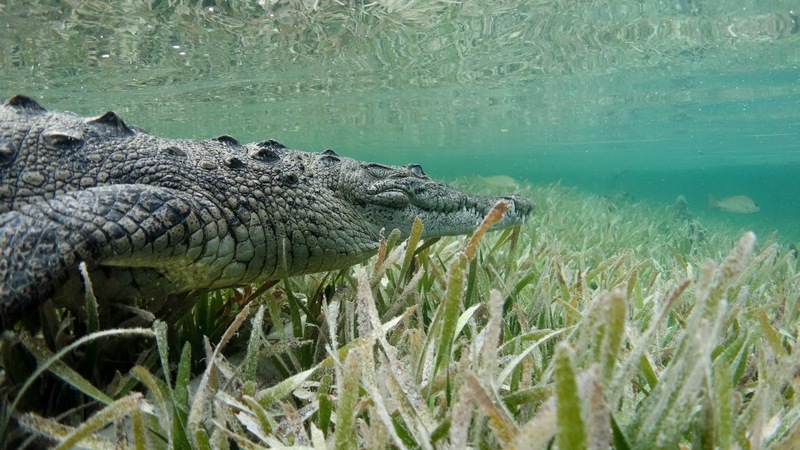 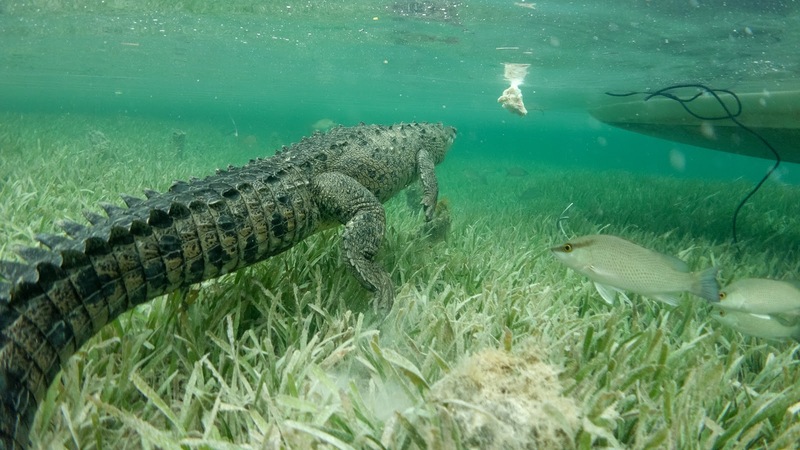 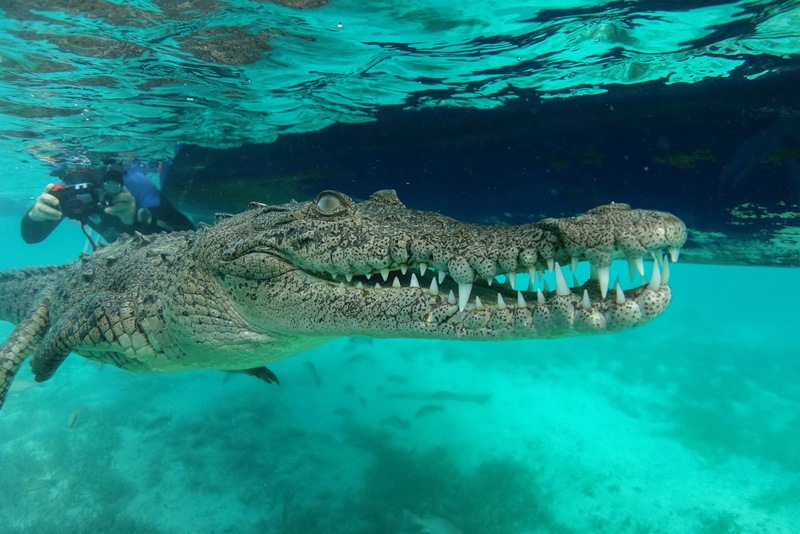 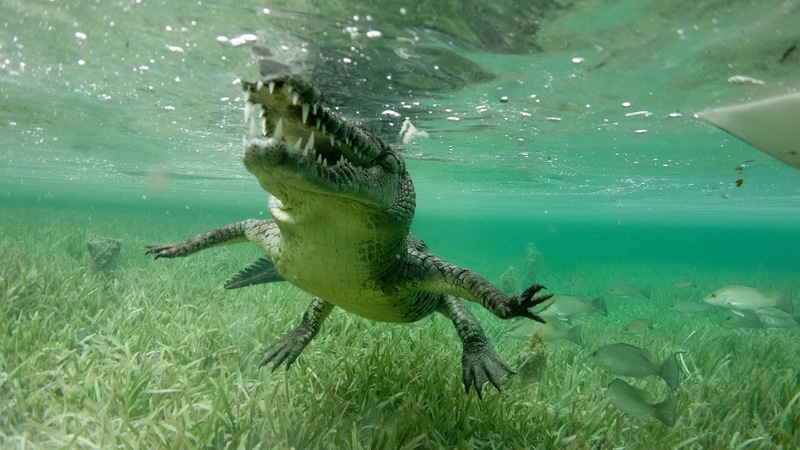 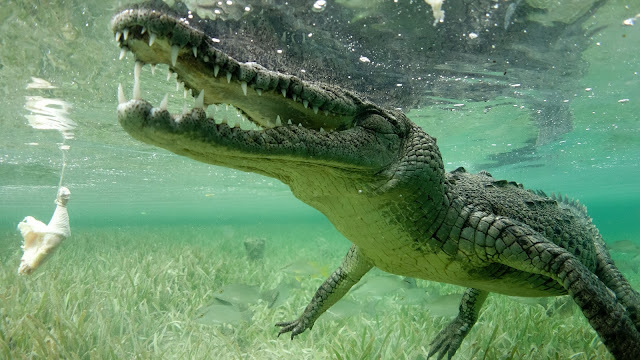 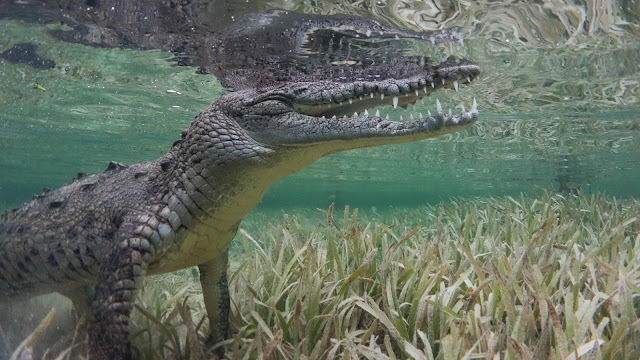 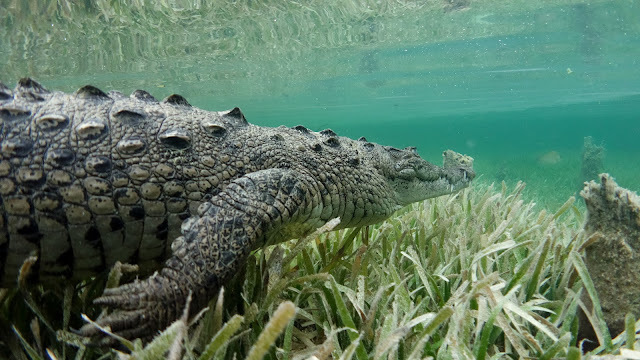 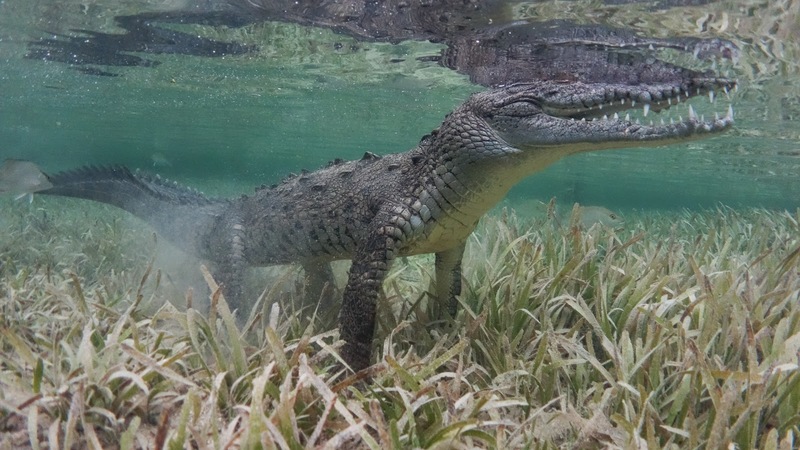 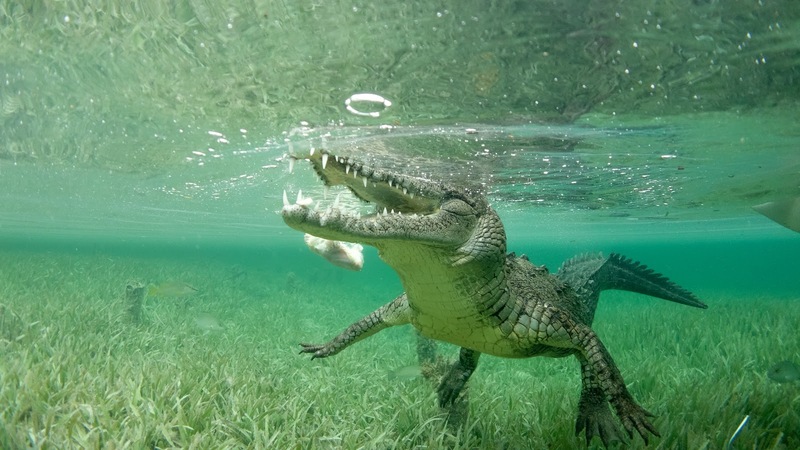 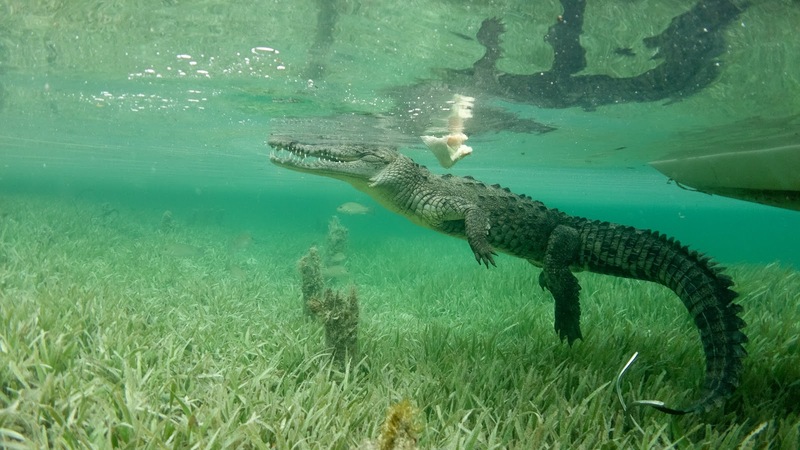 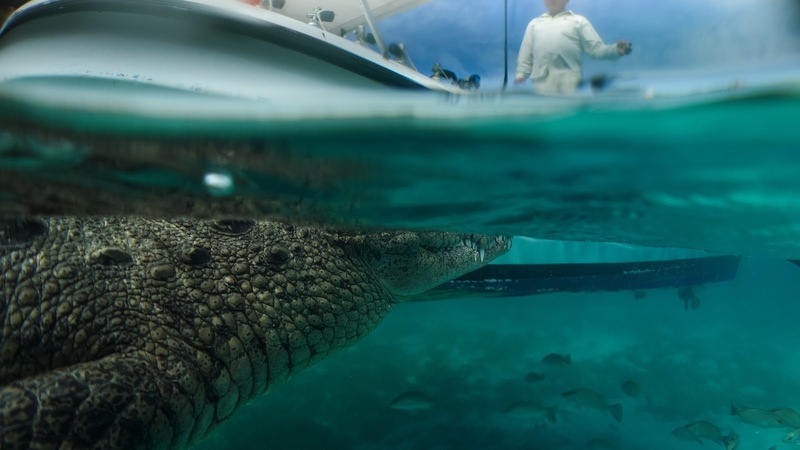 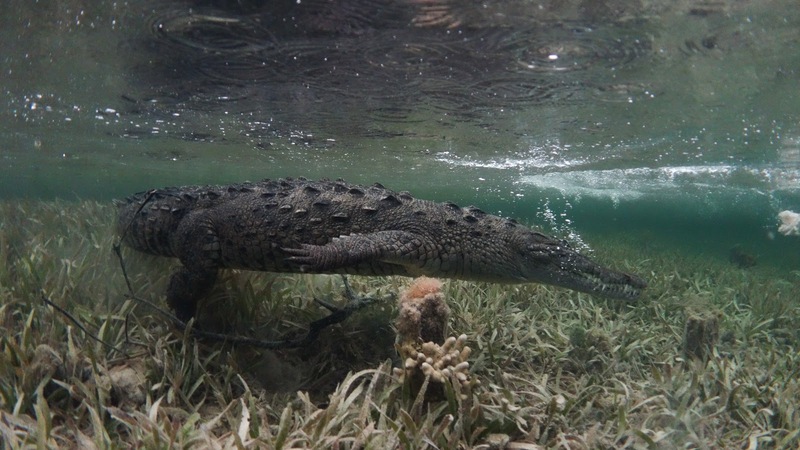 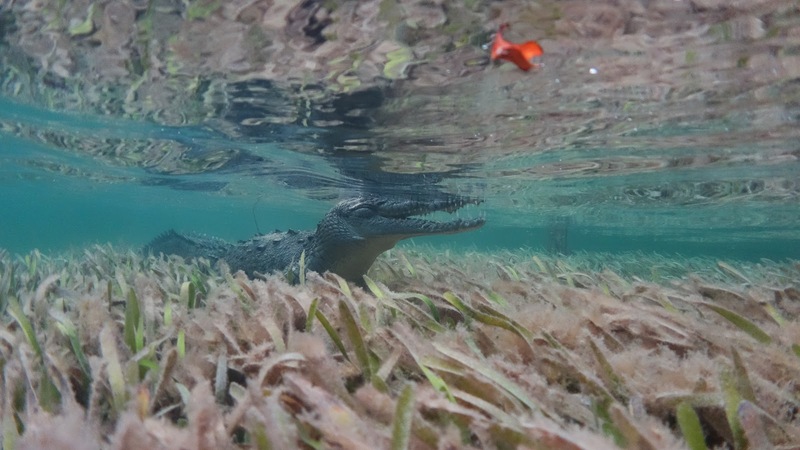 Home / Diving / Latin America / Popular / South America / Cuba - Why not diving with crocodiles? 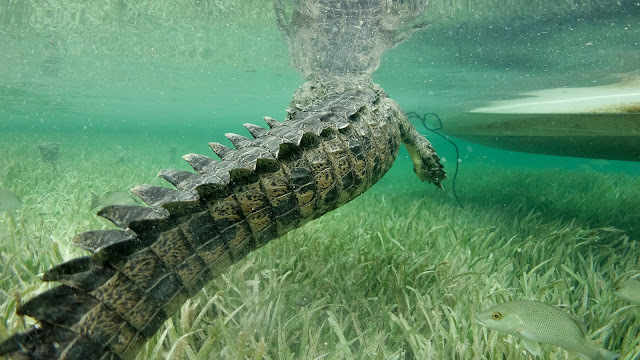 Cuba - Why not diving with crocodiles? 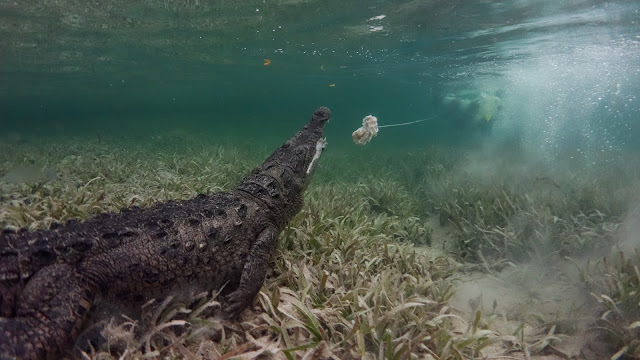 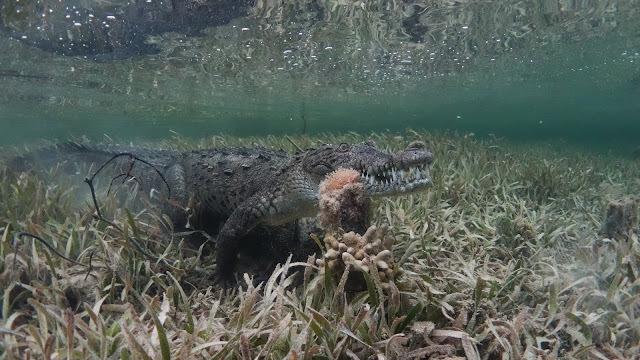 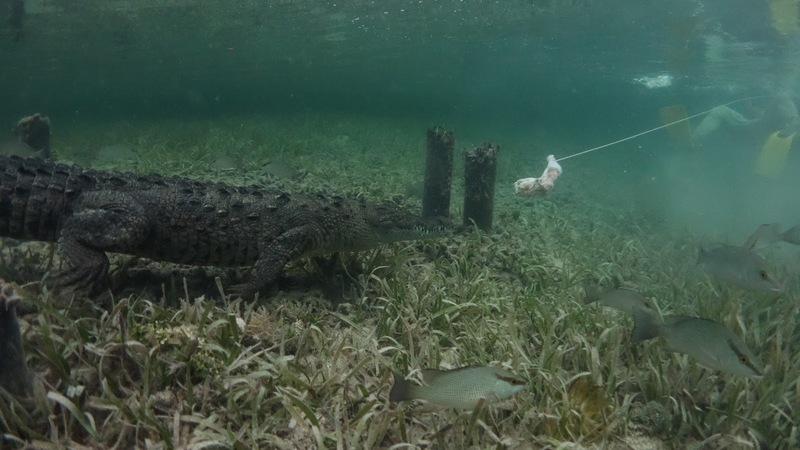 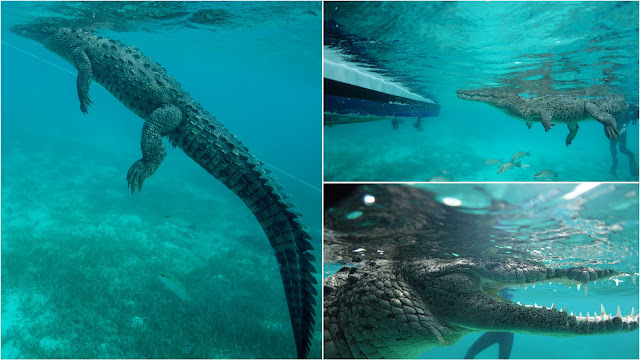 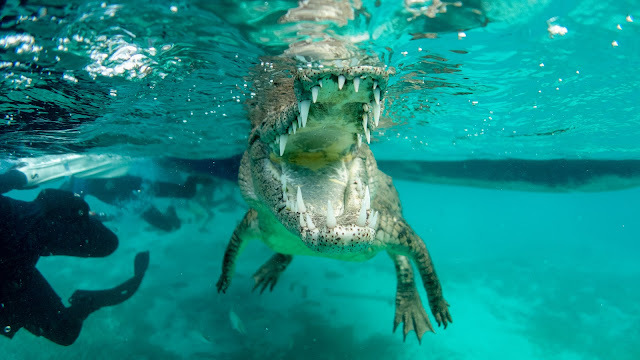 A long time I was wondering if it there will ever be the possibility to dive with a wild saltwater crocodile in open water, no cage, but in a relatively safe environment with clear water and good visibility. Finally, in Cuba I found this opportunity. I went two times for diving with the crocodiles in Cuba. This was during a week of diving on a liveaboard trip on the Tortuga in the Jardines de la Reina. 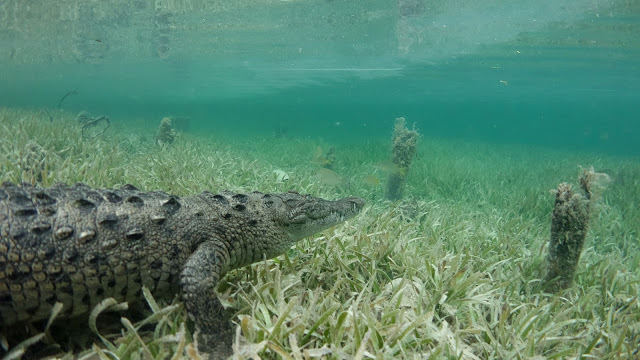 The first time it was between the two morning dives and the second time I went the next day, to have different visibility and no other divers around. 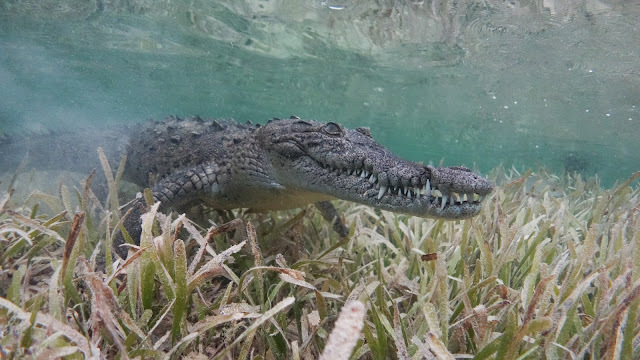 Diving in Cuba on the liveaboard "Tortuga"
So today was the day we were brought to the mangroves, where the crocodile can be found. 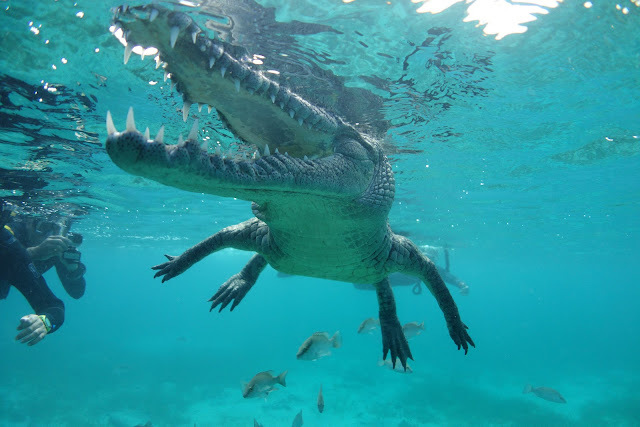 It was between the first and second dive. 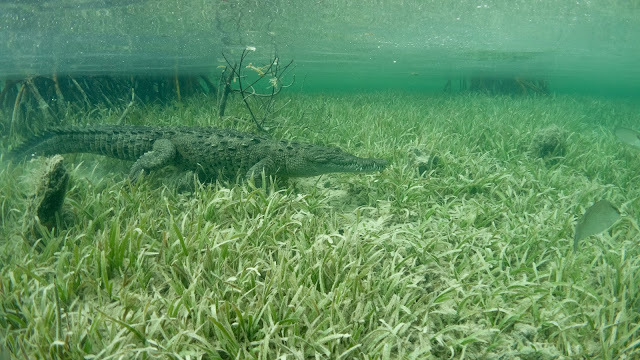 The light was good and the water clear, however, when a few people jump into the shallow water the visibility soon got very poor, due to the sand that stirred up from the ground. 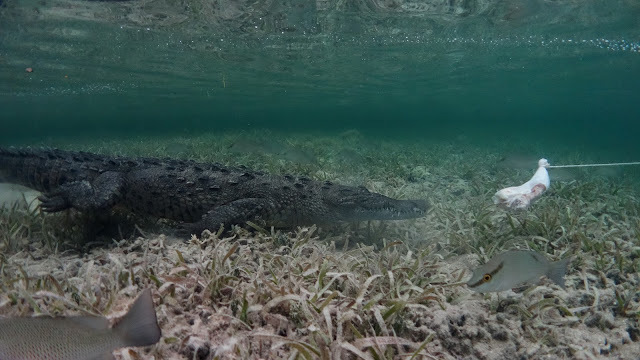 One crocodile was about 50 meters away and it soon came closer and closer. 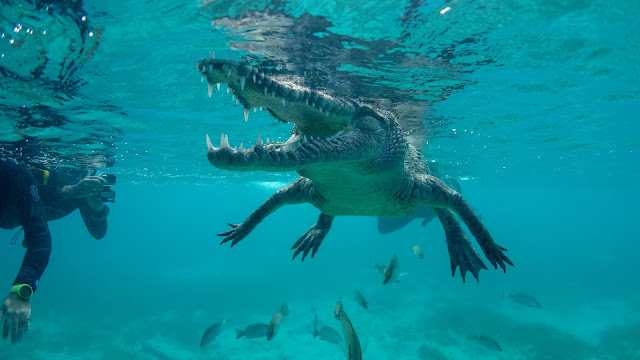 I noticed how the human instinct kicked in, which said in my brain “what are you doing.. this is a wild crocodile..and crocodiles are dangerous.. get out!”. 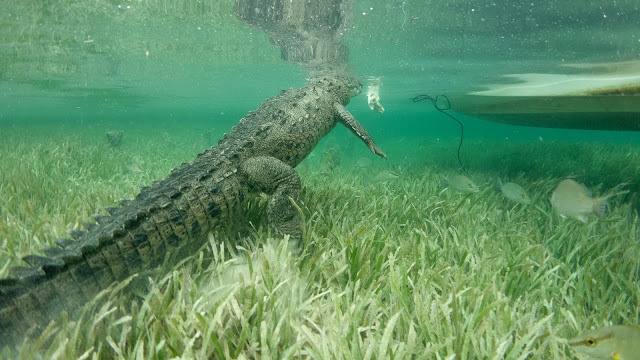 But soon I also realized that this crocodile is somehow used to visitors and so far no one ever got harmed, at least this is what the operator said :). 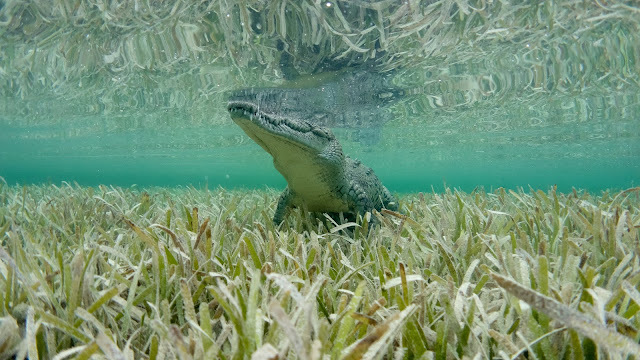 The see a wild saltwater crocodile from under the surface, eye to eye, in clear water, this is an amazing experience. We stayed in the spot for about one hour before we packed our things and headed towards the second dive spot. Although even it was spectacular, I knew that I need a second time with the crocodile. Asked the divemaster to go there again tomorrow or in two days and they agreed. 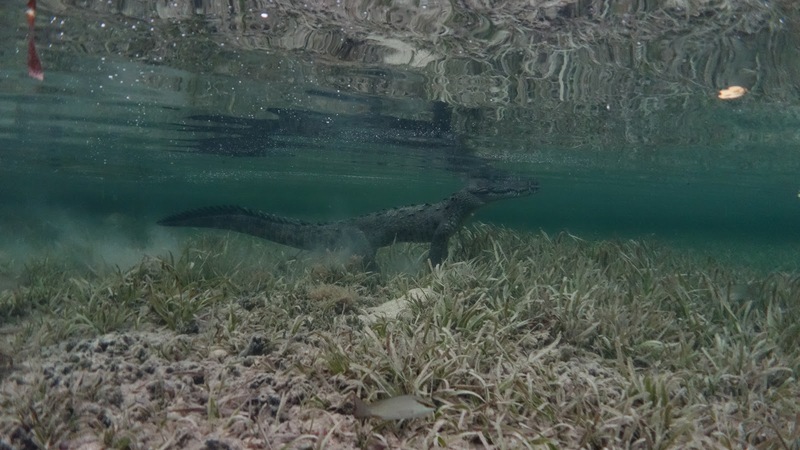 I asked the operator to bring me out again there another day, but that time only me and not the whole group, so that the visibility will be better and no disturbing divers in the background. 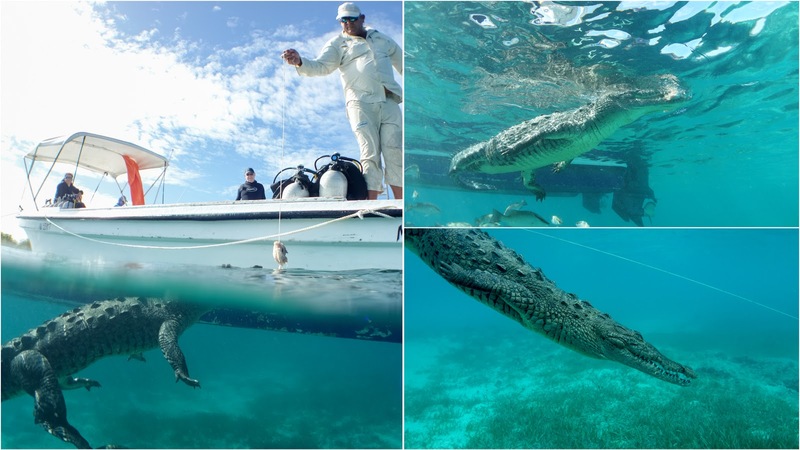 For some small extra cash, of course, it was possible – even though I had to skip one dive. 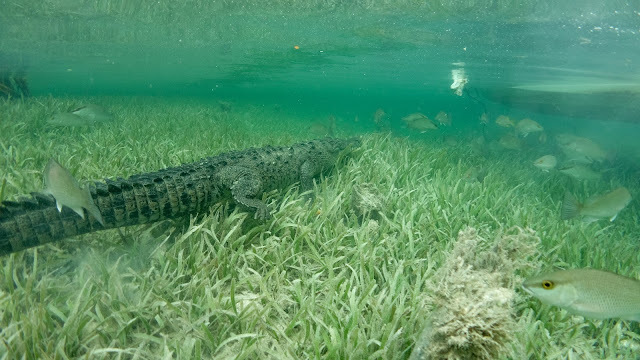 When the others went for the afternoon dive, I departed with the boat driver towards the mangroves with the crocodile again. 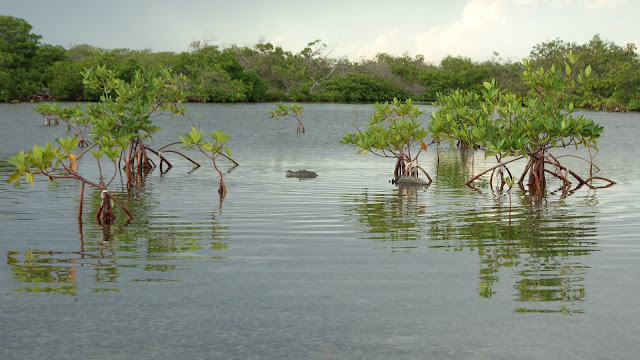 It's about a 20 minutes motorboat ride from the Tortuga. The weather was rainy all day, but thankfully in the afternoon, it opened up a little so that the water can calm down and the visibility will be not that worse. 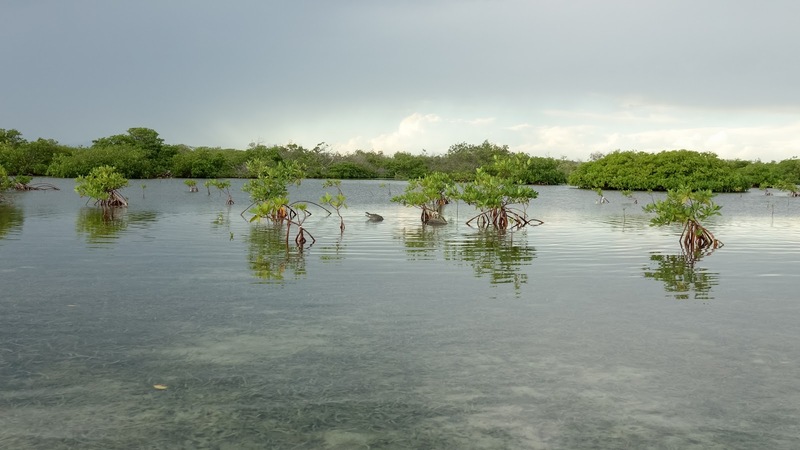 Arriving in the mangroves it was totally silent. No noise, no sound, no birds, nothing.. complete silence. 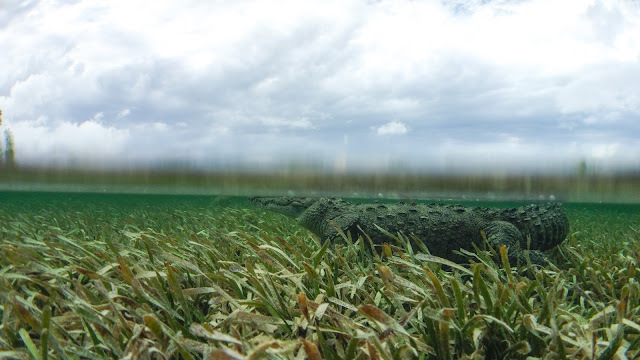 There was no wind, the surface of the water was so calm it looked like it was made of plastic. 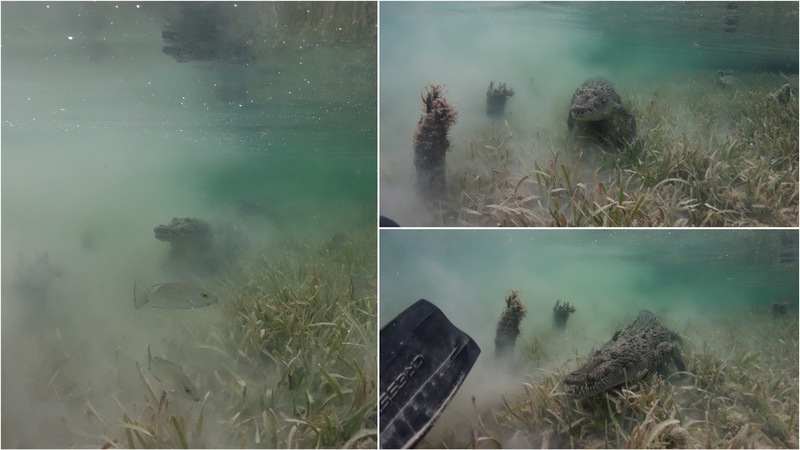 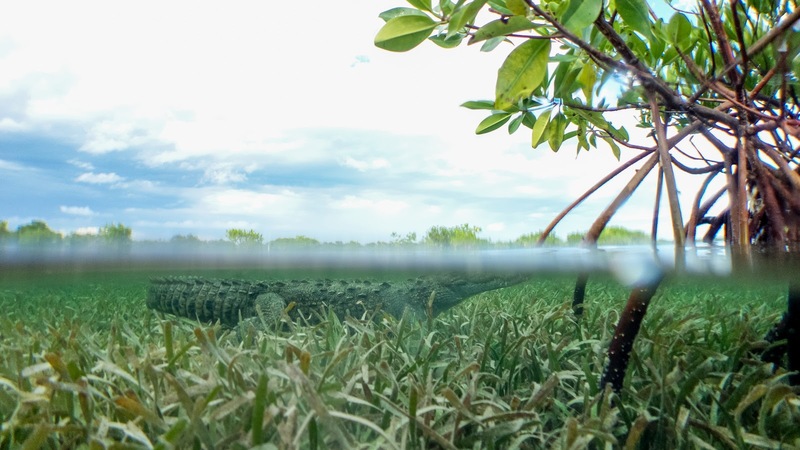 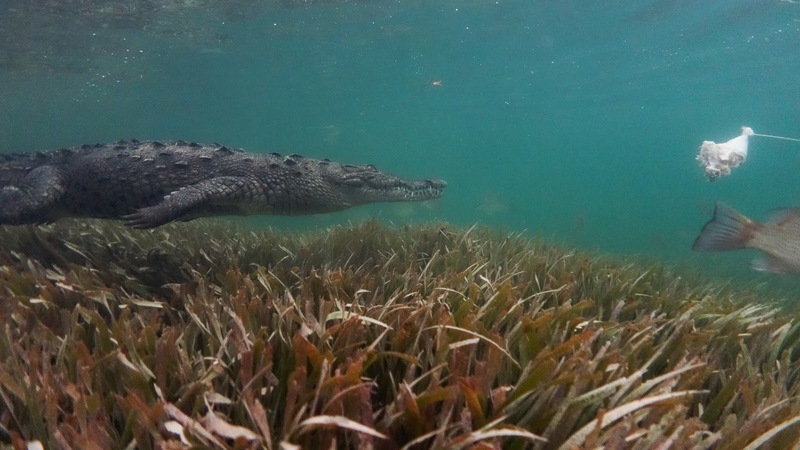 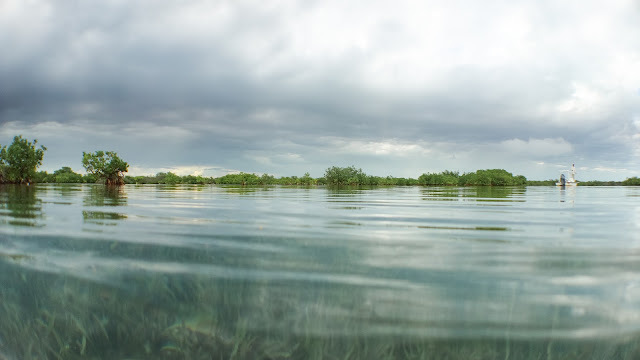 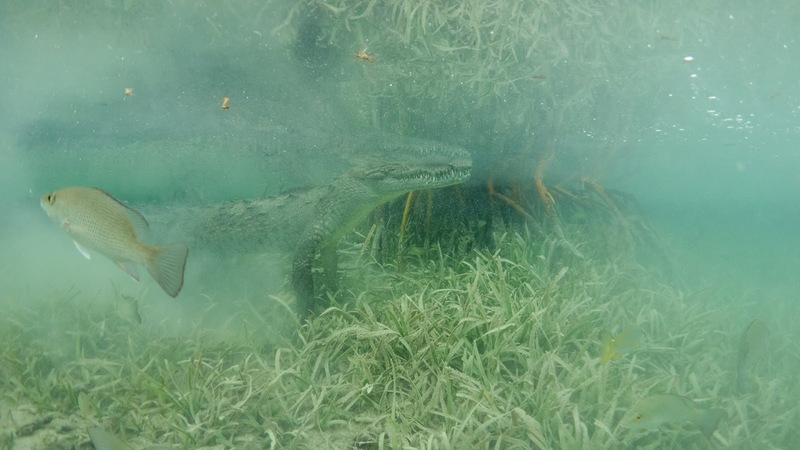 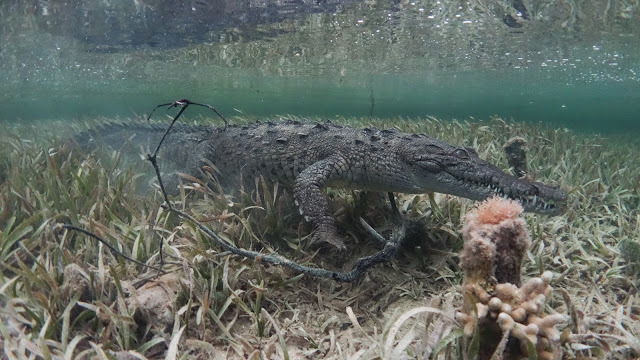 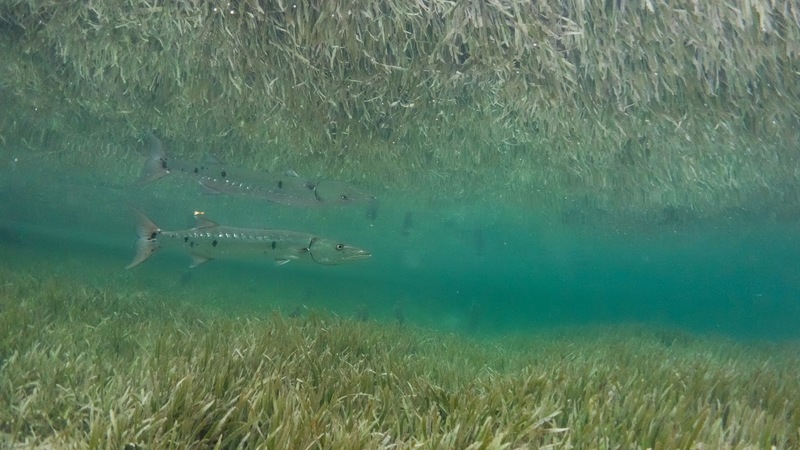 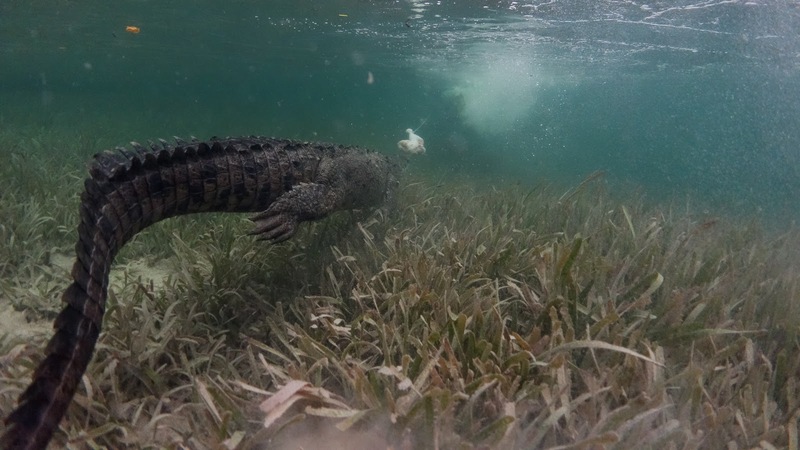 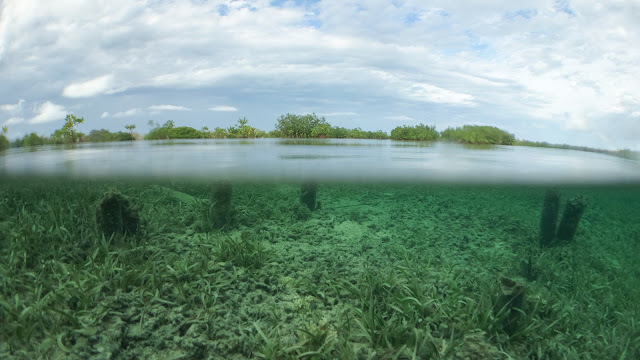 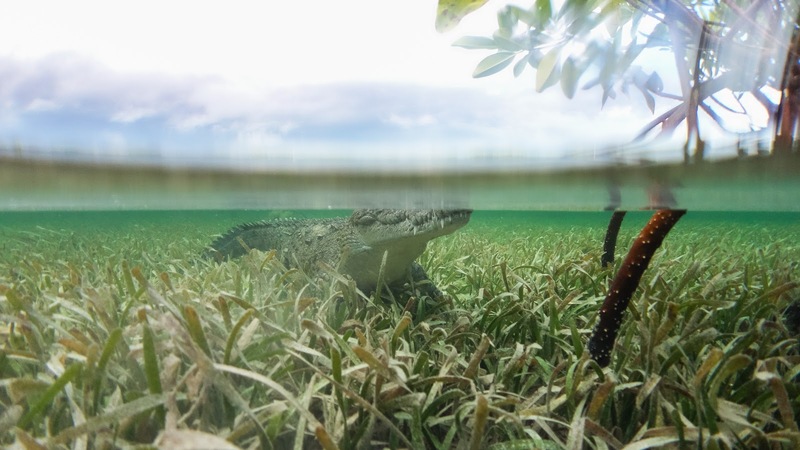 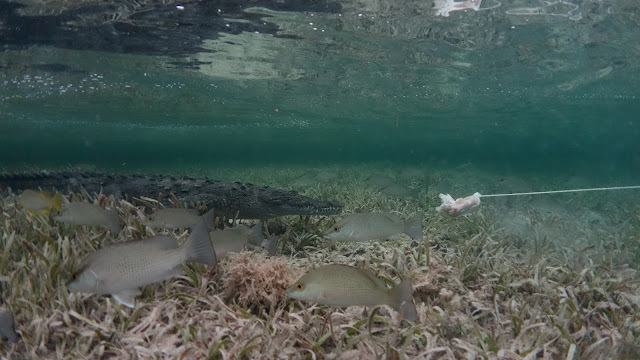 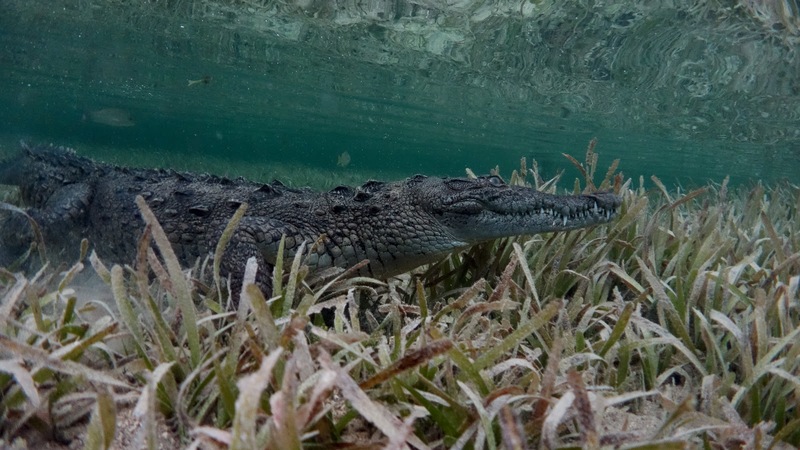 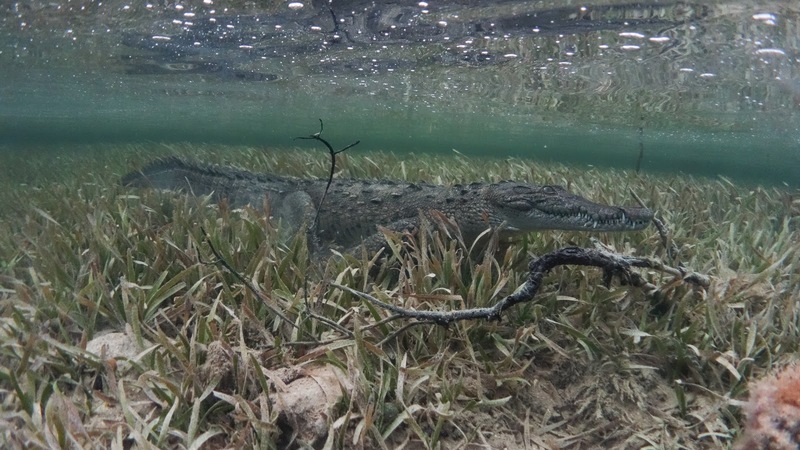 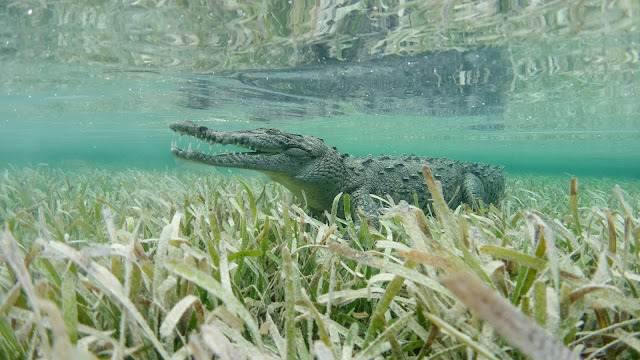 And to my surprise the visibility was very fine, which was also important or else it would be difficult to spot where the crocodile is sneaking around in the high seagrass under the surface. The boat driver told me that there are three crocodiles living in this area and I should watch, not to just focus always on one. That was the moment when the crocodile got the first chicken. 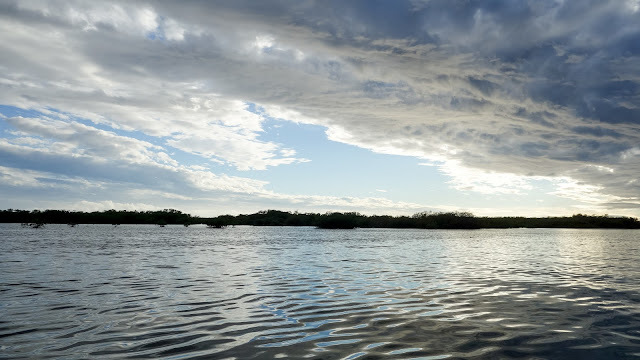 The weather became darker and more not much longer and the sun behind the clouds will slowly go down. So there was not much more time anymore to get the crocodile back on track. 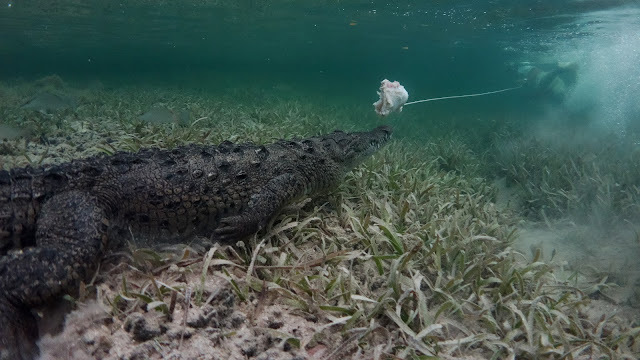 Thankfully there was another piece of chicken on the boat for a second attempt. 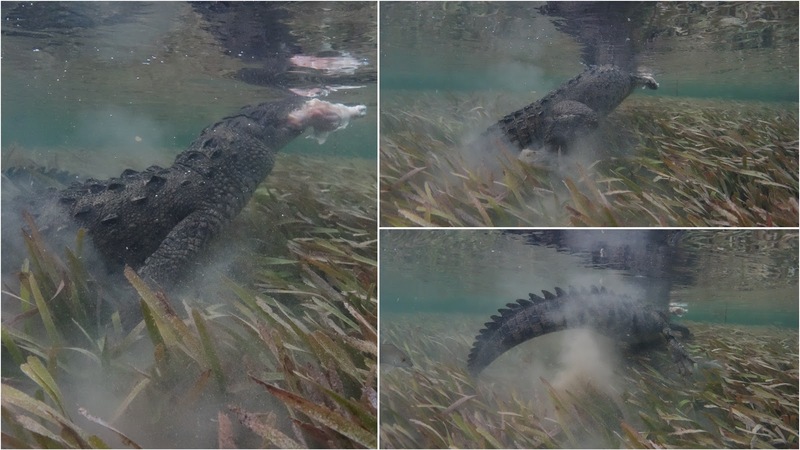 After it got the first chicken, the croc went back into the bushes and it took about 15 minutes until the crocodile appeared again. 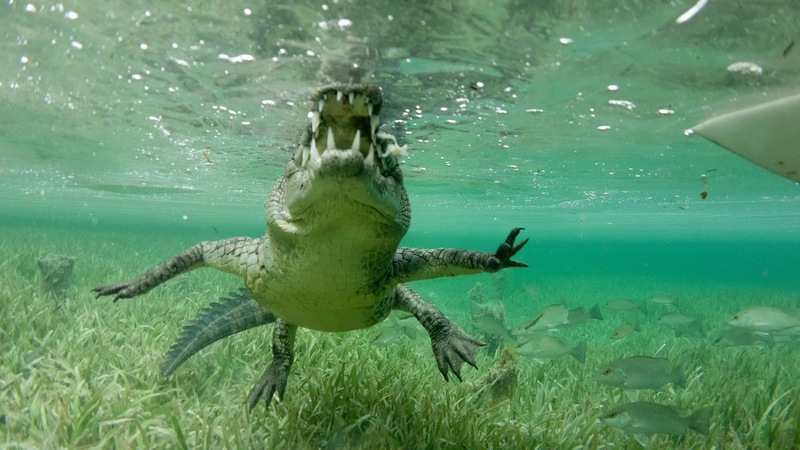 I'll skip the judgments like "What are you, nuts?" 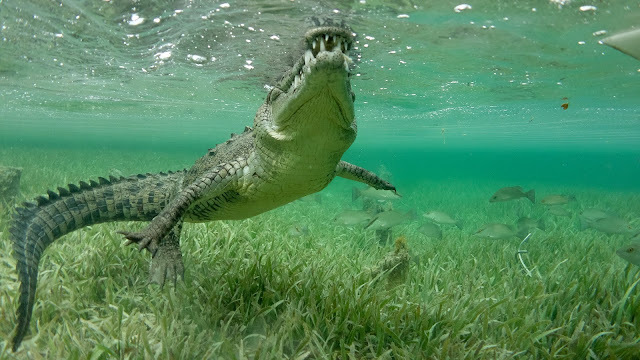 You decided to do this and you did, taking some amazing pictures during your adventures. 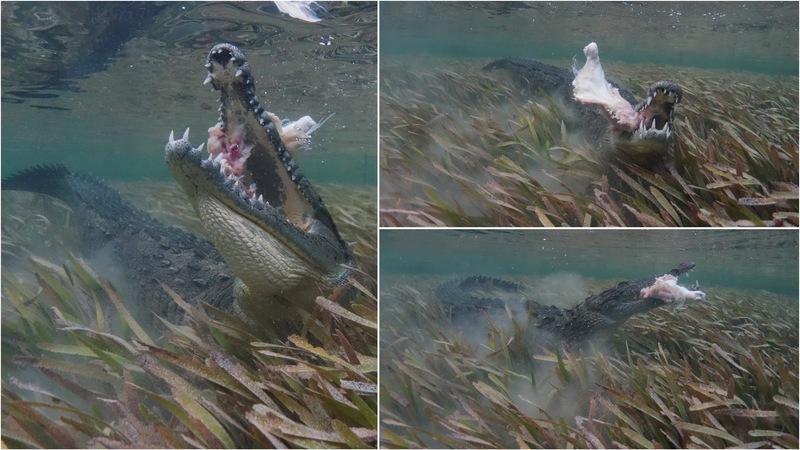 I can't believe how clear the pictures of the crocodile are. 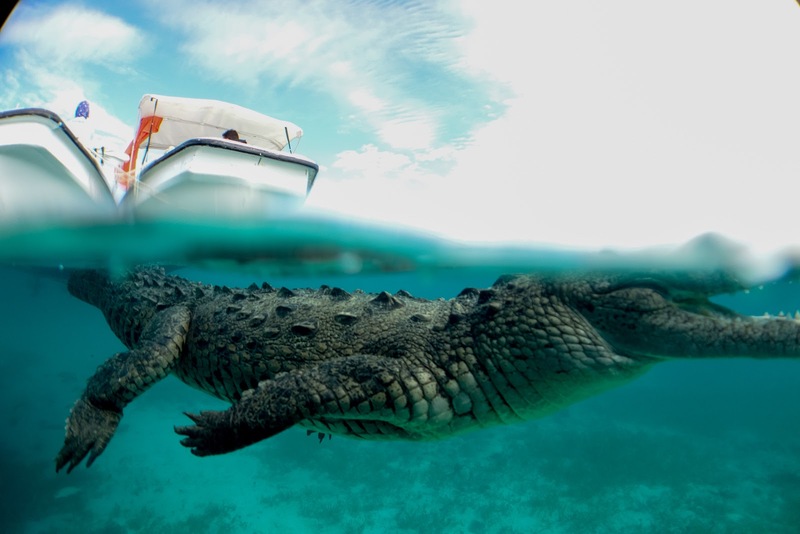 It looks like the big guy is ready to swim out of my screen. Couple questions: 1) How warm was the water; and 2) did you feel in any kind of danger at any time (especially when you went solo)?